Two years have passed since the catastrophic event known as the "Continent's Dropping" from the first OVA episode. Yumemi still has not forgotten her ability to see the world above, but now she's in the last years of middle school, tests and real life take over. Unknown to the people of the world, Akuto the world still thrives, but the war rages on. 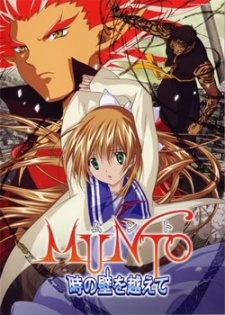 In need of help, Gaz, sends Munto down into Earth once more to find the "Girl of Destiny" in order to save Heaven from its ultimately demise. Yumemi must once confront the only world she sees, and not even her friends Ichiko and Suzune can help her.